We work closely with one of the UK's leading Out of Home media owners, to provide contextually powerful creative executions. We followed influencer experiences, exploring the world with Cunard. We created a rainbow across the city, and a playlist for Pride in London 2018. 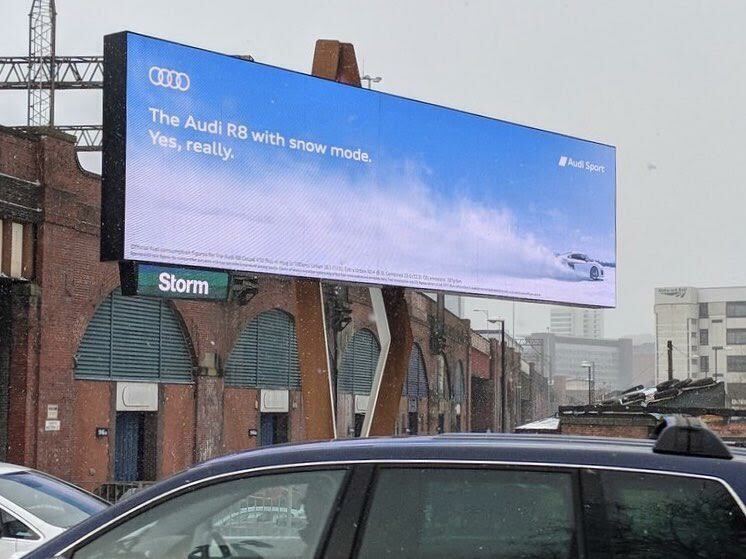 When The Beast From The East came calling, Audi was ready for the snow.